So, as scheduled, I presented my paper on Barnett Newman, primal desire and apophasis at the AAR in the “Arts, Literature and Religion” section. I didn’t go overtime, but as a result I did have to leave out a few juicy paragraphs about Kabbalah and the themes of death and time in Abraham… However, these things did come up later on in the Q&A portion of the session, so perhaps it all worked out for the better. I have found everyone at these AAR meetings to be encouraging and engaging, especially for a newcomer like myself, and I was especially struck this time by the general enthusiasm those who attended the session had for Newman’s work and contemporary art in general. The other papers in my session – on Bill Viola, Anselm Kiefer, and outsider artist Sister Gertrude Morgan, respectively – were each fascinating and made for a great discussion. The paper on Bill Viola in particular was especially pertinent to my own interests as it introduced both the apophatic tradition (Pseudo-Dionysius, but also John of the Cross as in Viola’s video piece Room for St. John of the Cross) and Marion’s concept of the “icon” into a discussion of contemporary video art. The American painter Barnett Newman (1905-1970) is best known for his large-scale, largely monochromatic canvases punctuated by “zips” or long, vertical stripes. What is evident in Newman’s work more noticeably than in his Abstract Expressionist contemporaries is his realization of the theme of inexpressibility in relation to the transcendent or spiritual aspects of Being. A missing dimension of spiritual/theological interpretation of Newman’s work has been attention to this category of inexpressibility, specifically as it relates to Newman’s own understanding of art as a return to the spiritual origins of humanity (the primal “howl”). Reading Barnett Newman’s work as akin to an apophatic spirituality such as the mystical theology developed by Pseudo-Dionysius, and linking his primal “howl” to ontological desire, provides the possibility of interpreting both his religious (“The Stations of the Cross,” “Onement”) and ‘secular’ works in new ways without compromising his unique artistic vision. In terms of the rest of the conference, I went to a great session on film and religion which in its sheer diversity just about summed up the current state of “film and theology” studies. On the one hand, you have evangelical scholars – clustered, it seems, around Fuller Seminary! – looking at film as a language of the transcendent. Following Barry Moser’s advice in Reframing Theology and Film to examine more deeply the role played by music and sound, Kutter Calloway examined the score in Anderson’s There Will Be Blood in terms of spiritual (dis)orientation. On the other hand, you have scholars approaching the problematics of religion and film via the resources of film studies and critical theory (Laura Mulvey, Jacques Lacan, etc. ), the kind of “interdisciplinary” approach associated with schools like Syracuse and my own alma mater, York University in Toronto. 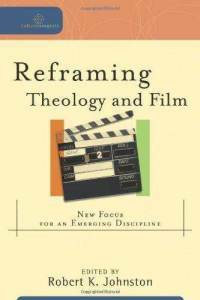 Of these two approaches, the latter is a bit more familiar to me as a student of film, while the first is appealing as a “confessional” theology student. I’d like to see these two approaches come together in a more sustained way… bridging the gap between Silverman, Althusser, Benjamin, Lacan etc. (in short, the venerable, volatile history of film theory) and the Robert Johnston/Craig Detweiler school. There was also a great paper from a Jewish perspective on the horror film The Unborn, which horribly misappropriates the Holocaust in the service of an ultimately fascist, moralistic agenda. And that’s putting it mildly! All in all, a good conference; it was nice to see some familiar faces and get to know a few others. Thanks to Wiley-Blackwell for the free journal samples (including Modern Theology, which was particularly exciting) and Wipf and Stock for their copious output. I hope to attend future conferences with a small wagon in which to drag around a wealth of book purchases.